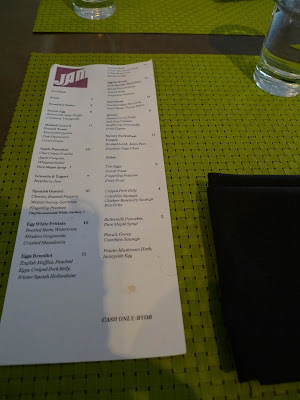 My former roommate and I met up for brunch recently at one of her favorite brunch spots, Jam. She has been having a horrible bout of morning sickness so couldn't really stomach much except for oatmeal so we made sure to go somewhere that served oatmeal for breakfast. I got there a few minutes earlier than her and looked over their menu and had a moment of panic when I discovered they only accept cash. I'm so bad about carrying enough cash on me these days. After my roommate arrived, they brought out little mini muffins for us to munch on. 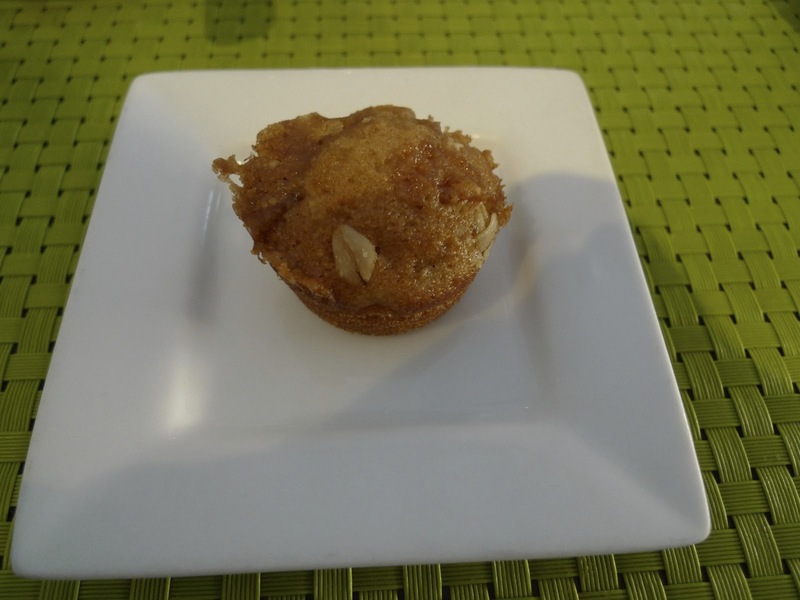 This happened to be apple oatmeal muffins. They are notorious for their malted custard french toast - doesn't that sounds heavenly - but I was in the mood for something savory. I am in a weird protein mood these, anything lamb, duck or veals calls out to me these days. 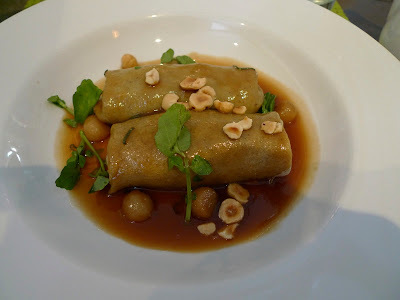 So an obvious choice for me was the savory buckwheat crepes with braised lamb, asian pear with hazelnut-sage glaze. It was like eating little burritos filled with braised lamb soaked in a delicious hazelnut-sage glaze. The toasted hazelnuts added a nice textural element to this as well since everything was pretty soft. We came specifically so my roommate could eat oatmeal, but they didn't have it on their menu that day. 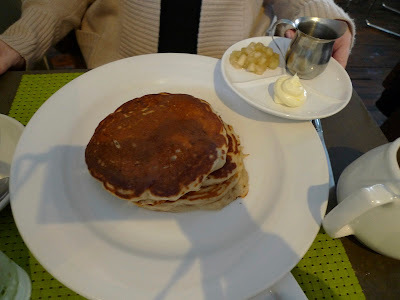 Thankfully they had apple pancakes and that seemed gentle enough for her to digest. My poor roommate ... that little boy of hers is going to hear from me for causing her mom so much grief. The apple pancakes came with chai creme fraiche and apple compote. Her dish was simple, but it was really good, especially with the chai. Jam is all about using seasonal, fresh ingredients to create traditional breakfast dishes with unique twists. For instance their malted custard french toast is cooked sous-vide so the malted custard goodness soaks into every ounce of the bread and it's served with pink peppercorn or their chocolate pancakes are served with banana-milk jam. I can't even fathom what that would taste like, but I'm dying to find out. oh your ex roommie is preggers?? yah!